Do you ever get stumped? Or just in a creative rut? A fun way to spark some creativity is to create a sketch or find one online. There are a ton of fun sketch challenge blogs out there. I had the urge to create just for fun, but I didn't have a particular assignment or goal in mind, so I turned to a sketch. Nothing overly original or creative. 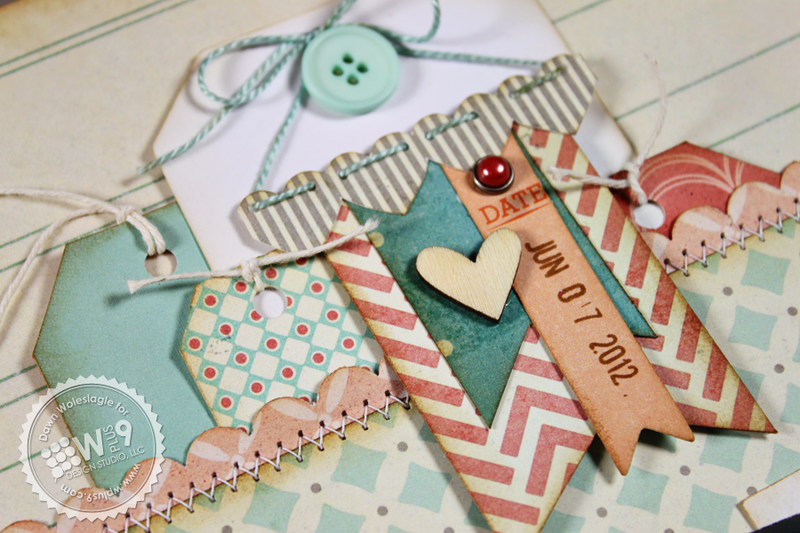 But I was looking for something to help me use up more of those scraps and remnants that are multiplying uncontrollably. 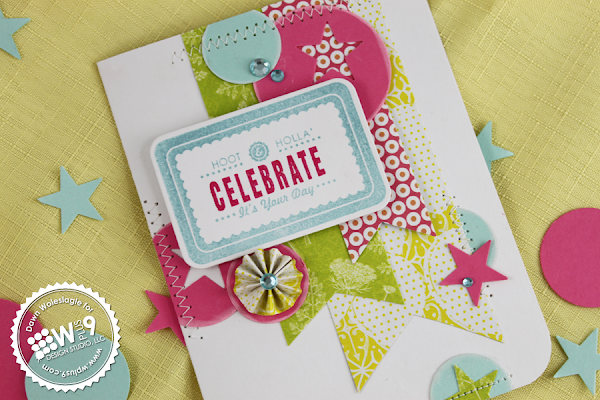 I love how I was able to mix and match papers, colors and shapes. 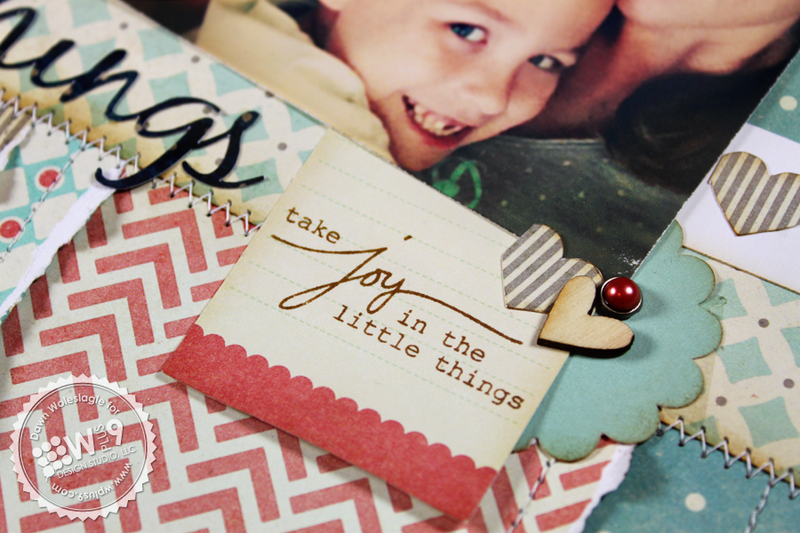 These deconstructed layouts are great for this. I didn't pay any attention to rules or "threes" etc. I just did what felt right. It feels good to create amongst chaos every now and then. Want to give it a try? No rules, no pressure. I'd love to see what you create! Leave a link in the comments. I love summer. I love the flowers, the sunshine, the care free lazy weekends. Everything just seems less stressful during the summer. But most of all, I love the colors. Today's card definitely just feels like summer to me. I used more of that Fresh Goods paper from Pebbles. Now that I finally cut into it, I just can't stop using it. 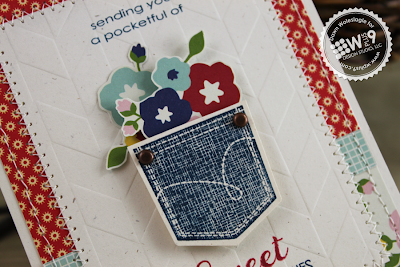 I cut some of the flowers from the pattern to fill a pocket from our A Pocketful stamp set. I added a couple of brass brads to the corners of the pocket to emulate rivets. 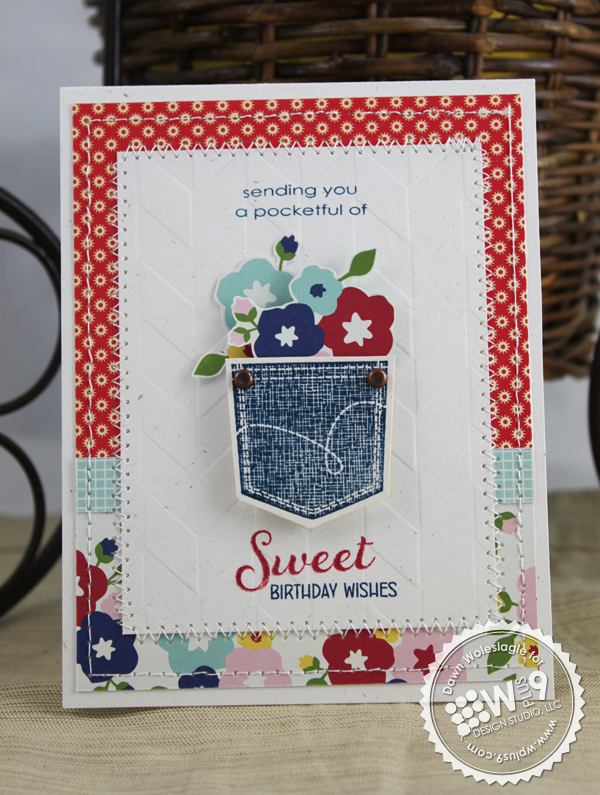 I stamped the sentiments and then embossed the focal panel using our Chevron Impression Plate. 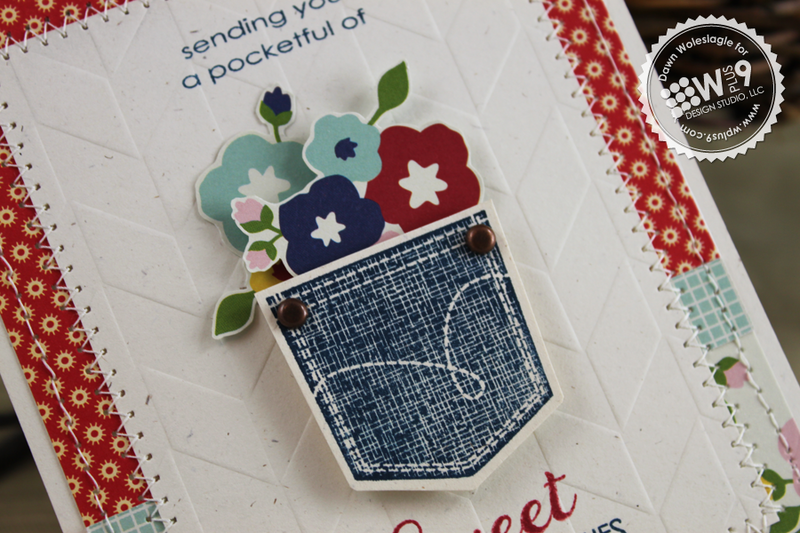 This is a great way to add texture while still giving the pocket a neutral solid layer to separate it from the busier background patterns. Thanks so much for stopping by today! What's your favorite thing about summer? In today's Design Clips video, I'll show you a quick and easy way to create faux toile using the focal images from C'est La Vie. The resulting pattern was just so pretty that there was no need to cover it up! 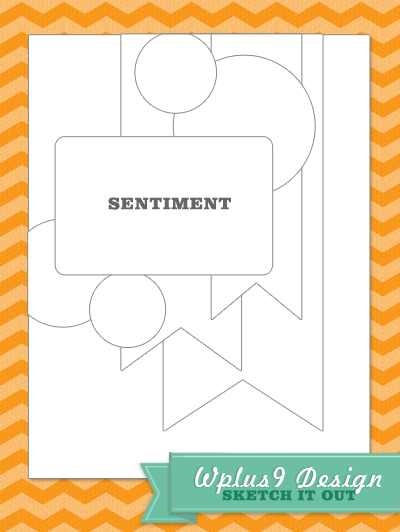 I think it made a beautiful set of all occasion note cards. What do you think? There are quite a few patterns that can be made using the images in this set. 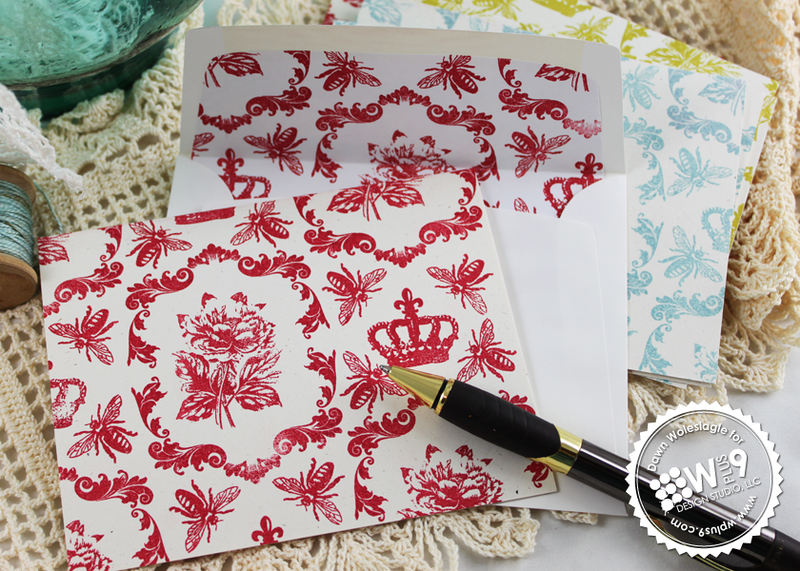 Some of them reminded me of old Victorian wallpaper; perfect for creating custom patterned paper. Play around on some scratch paper to see what you can create! Thanks for stopping by and I hope you are having a wonderful week! Have you guys heard? There is a new challenge blog coming! 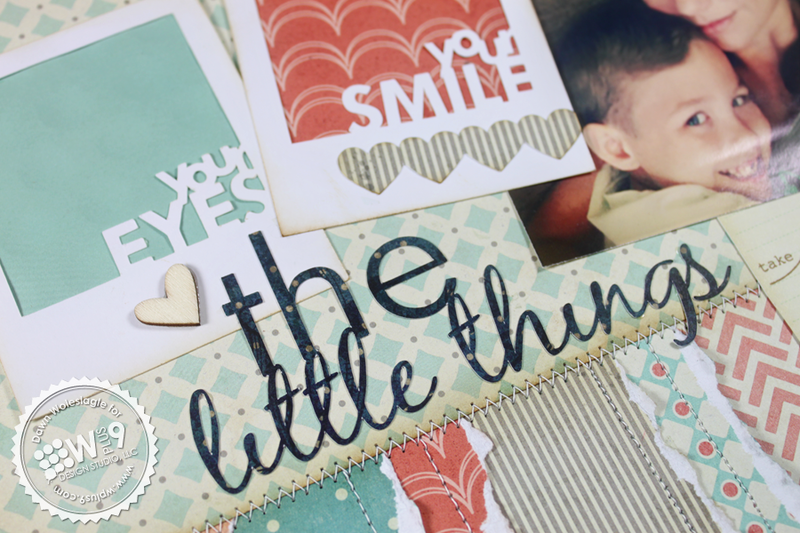 The fantastic Suzanne Dahlberg contacted me not too long ago and asked if I would mind if she started a monthly blog hop dedicated to Wplus9 products. Would I mind?! No way! Heck, I'll even donate prizes! I for one and extremely excited and can not wait to see what amazing creations are linked up each month! The blog is up and running, and I believe the first hop will be on July 9th. But you'll have to visit Cloud 9 to be sure and to get all of the details. Please remember, Cloud 9 is in no way affiliated or owned by Wplus9 Design Studio, LLC. 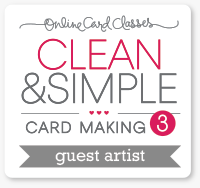 So be sure to bookmark or follow the Cloud 9 blog to "stay in the know"!